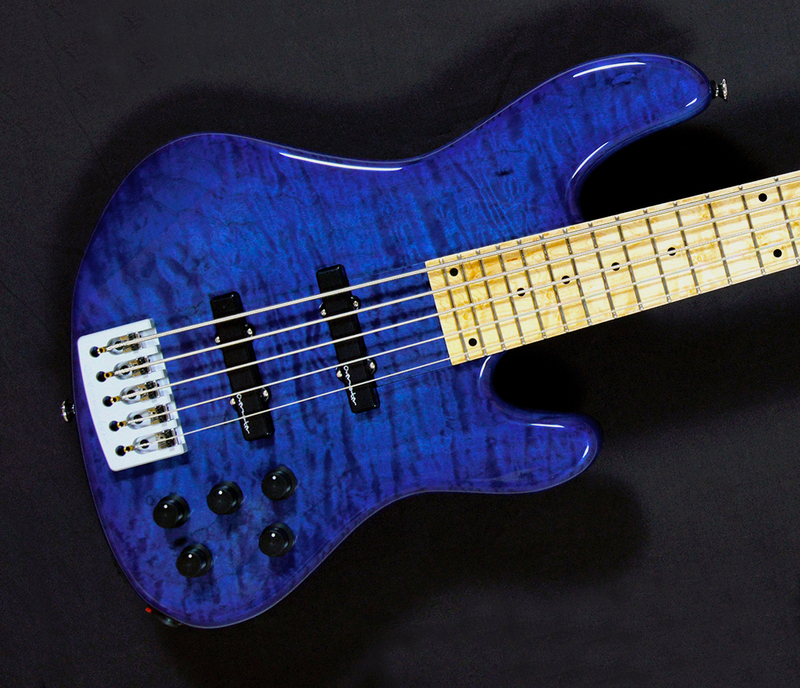 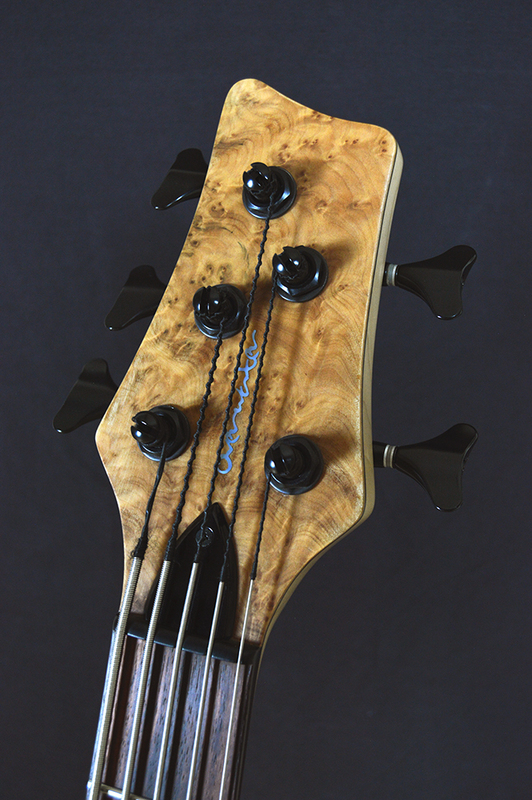 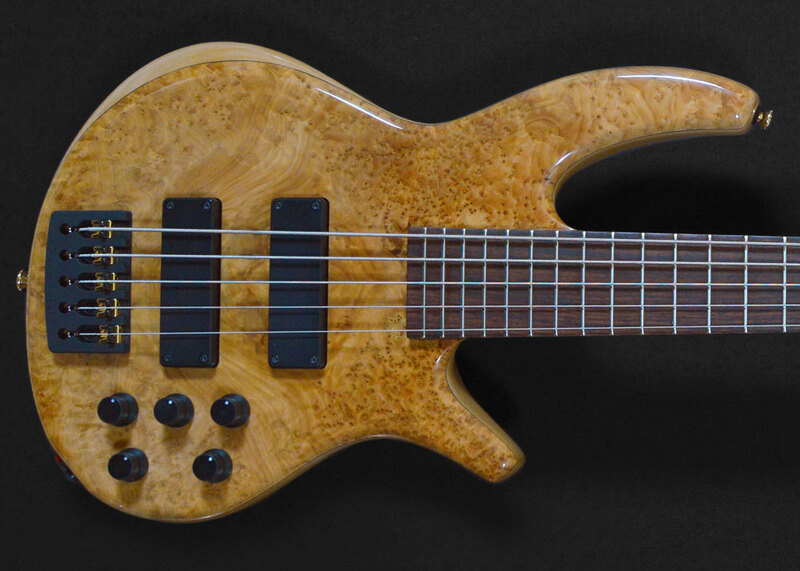 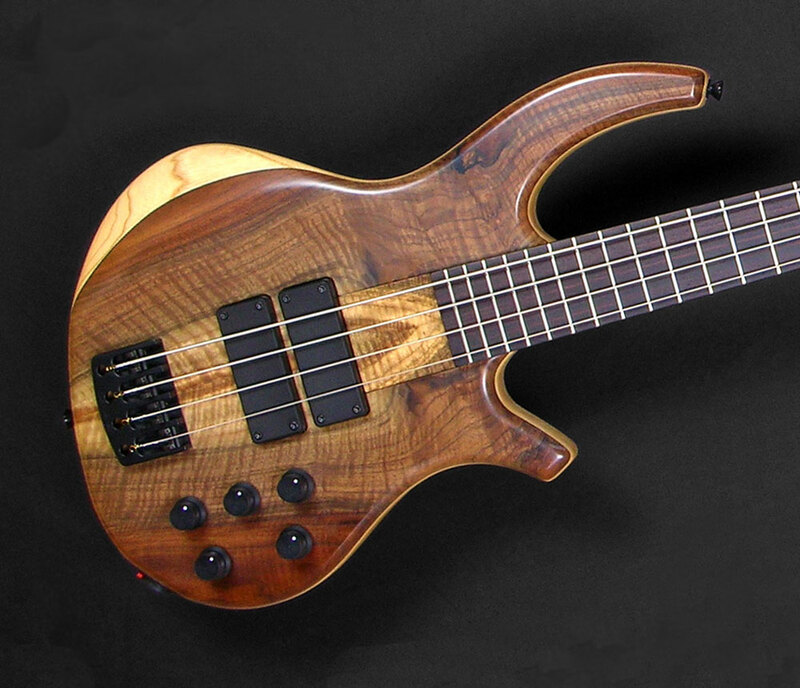 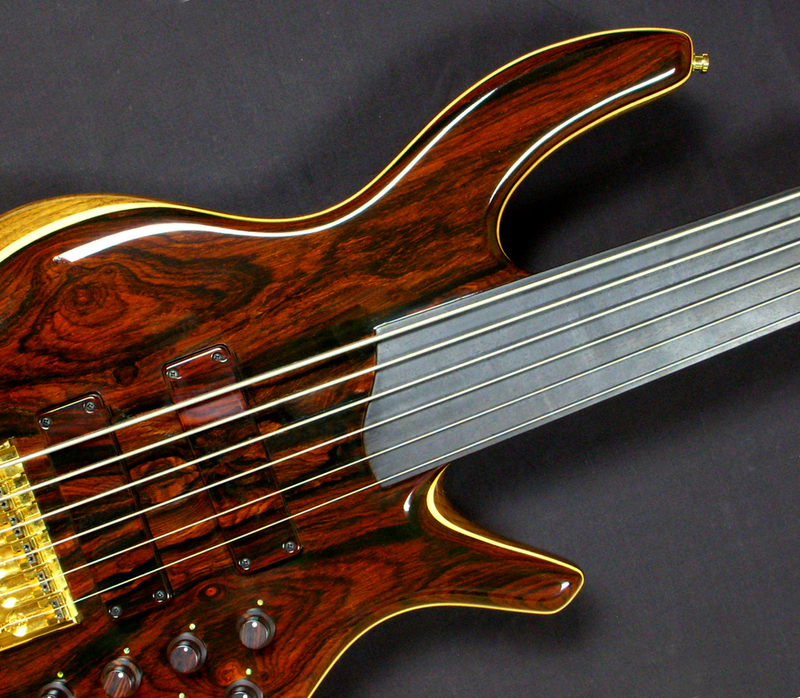 The Custom Series Progress bass is available as either a through neck or an extended bolt-on construction. 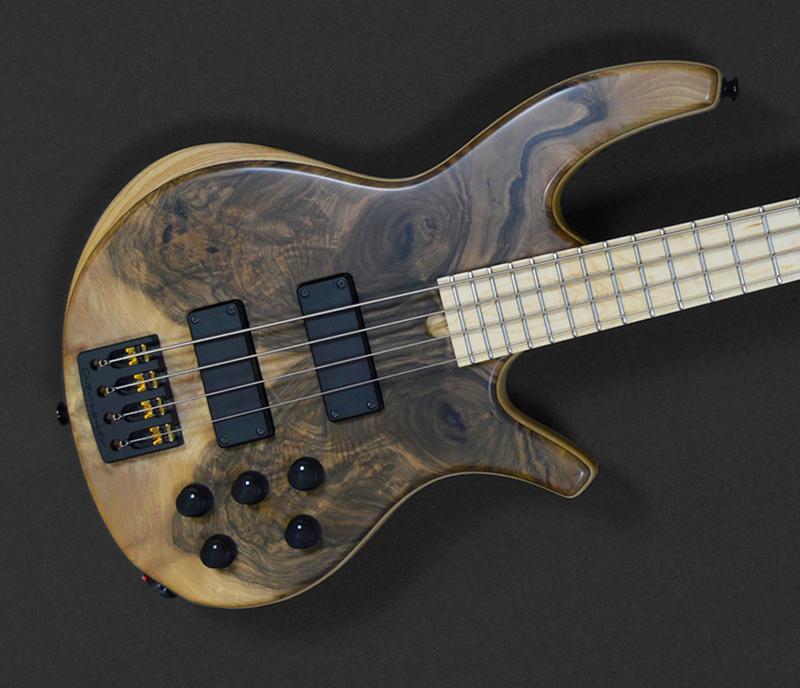 The Progress Series IV combines balance and playability with outstanding tonal clarity and visual elegance. 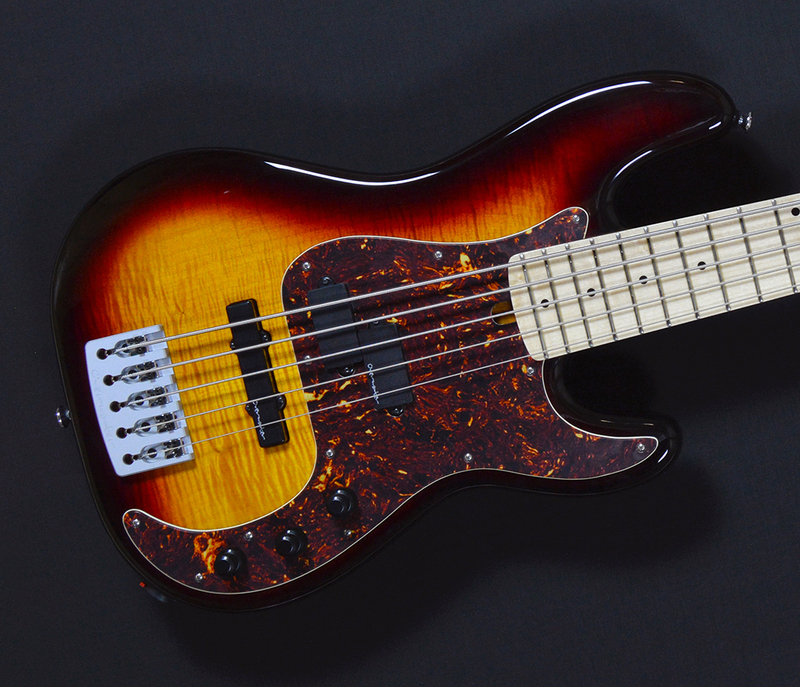 Available in 4, 5, 6 and 7 string formats with a wide choice of tunings, scale lengths and string spacings, this model offers plenty of scope for every playing style. 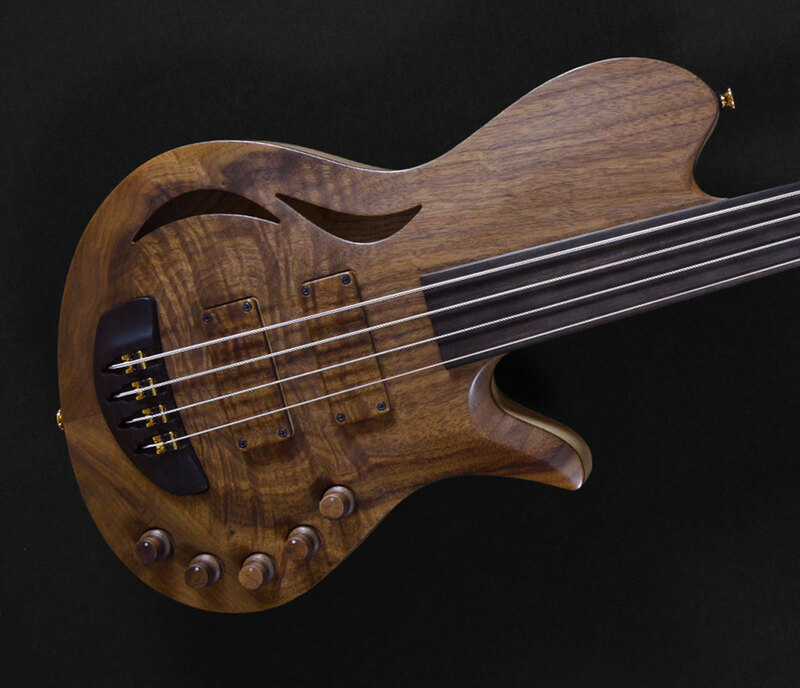 Every Progress bass comes equipped with our own custom electronics, pick-ups and hardware – designed by, and exclusive to, Overwater. 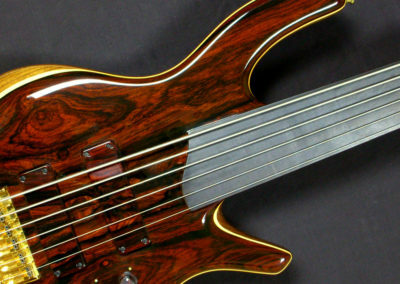 Other manufacturers parts may be specified as a custom option if requested. 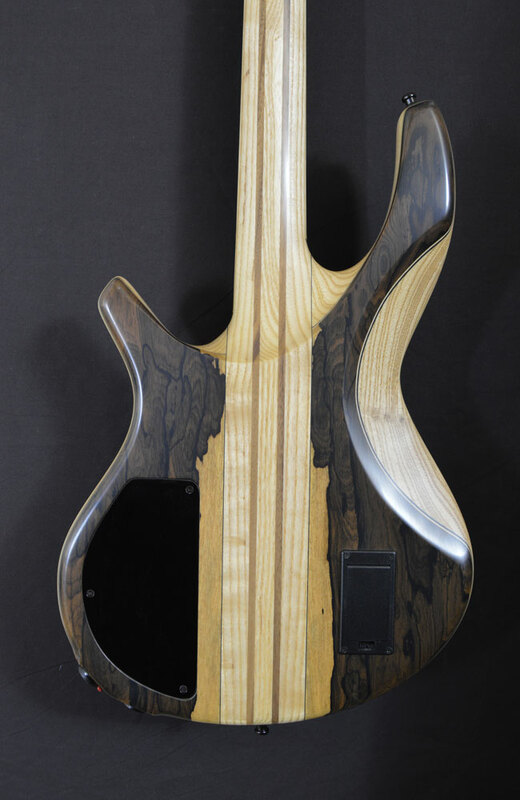 Tone woods available for bodies include Ash, Alder, Walnut, Tulipwood and Mahogany. 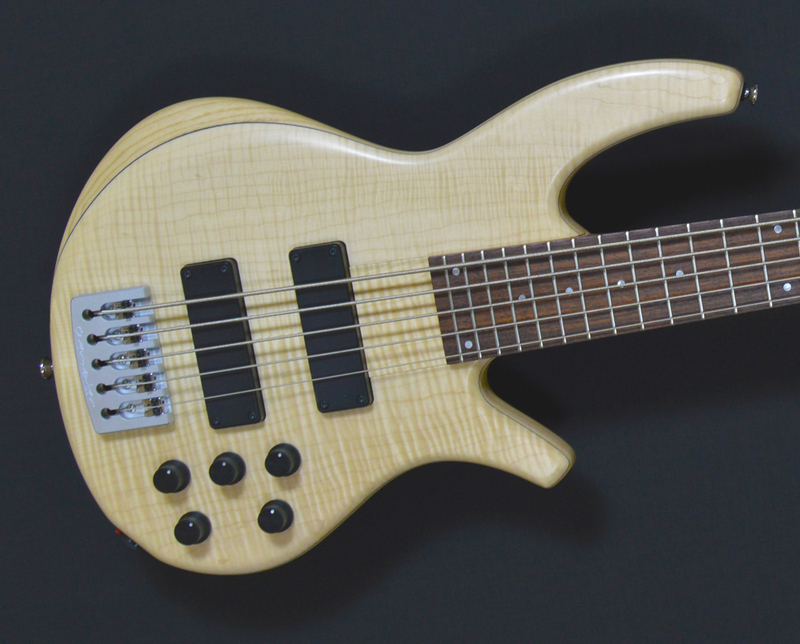 We offer a variety of fingerboard materials to chose from, and neck laminates include Maple (plain and figured), White Ash, and Wenge. 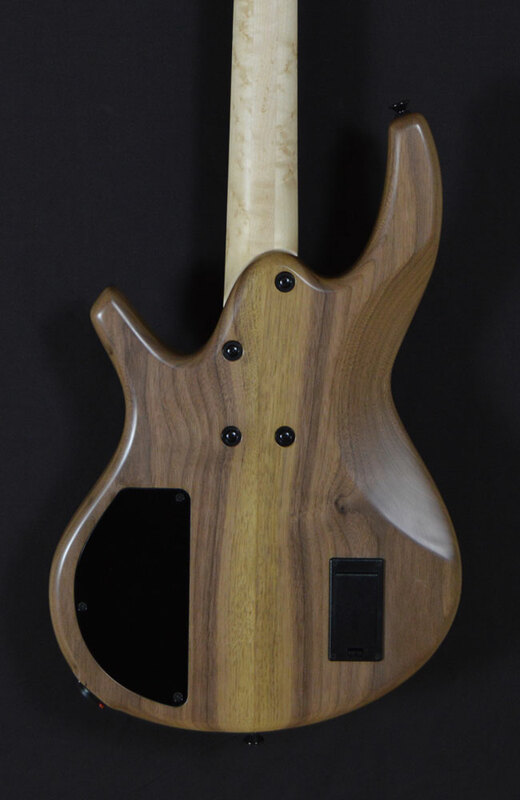 Walnut ‘stringers’ are used in 5 piece laminate through neck instruments. 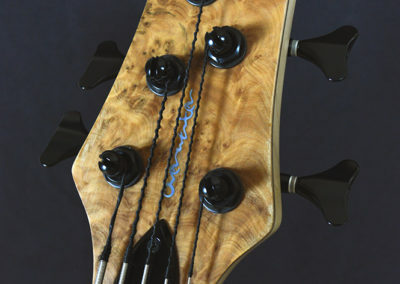 A wide and ever changing selection of figured body and headstock facings are also available – ensuring each instrument its own, unique beauty. 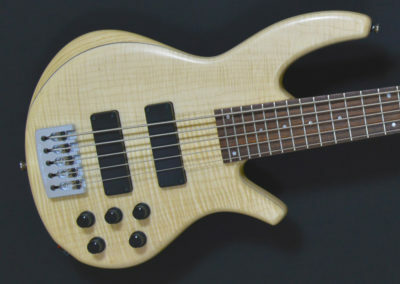 SCALE LENGTH 4 String - 34"
6 String - 34.5" 30" - 32" - 33"